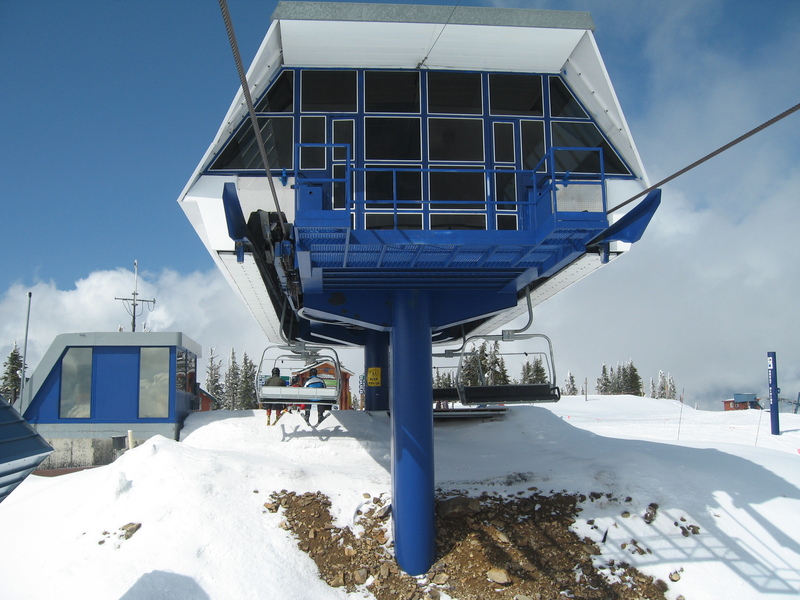 Shortly after the Whistler accident, mechanics at Schweitzer in Idaho found cracks in its Yan type-7 detachable grip jaws and shut the lift down for the remainder of the season. 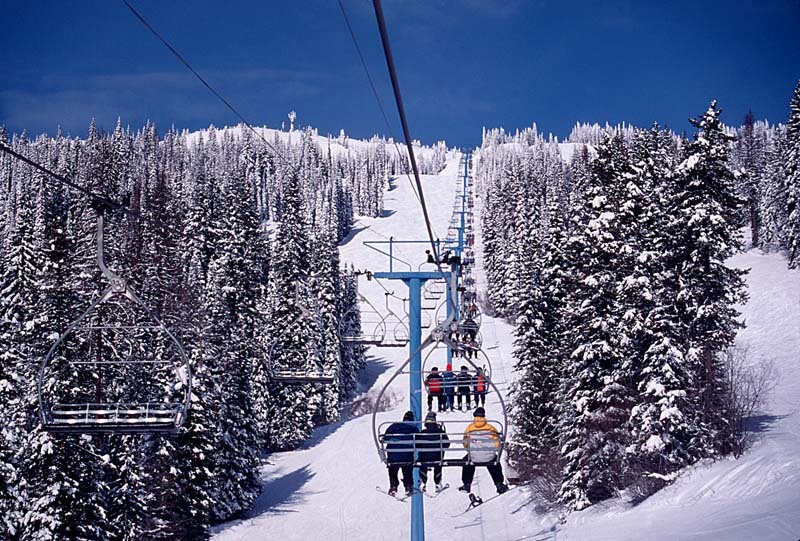 “There were a lot of quality control problems,” Schweitzer’s mountain manager told the Wall Street Journal in 1997. 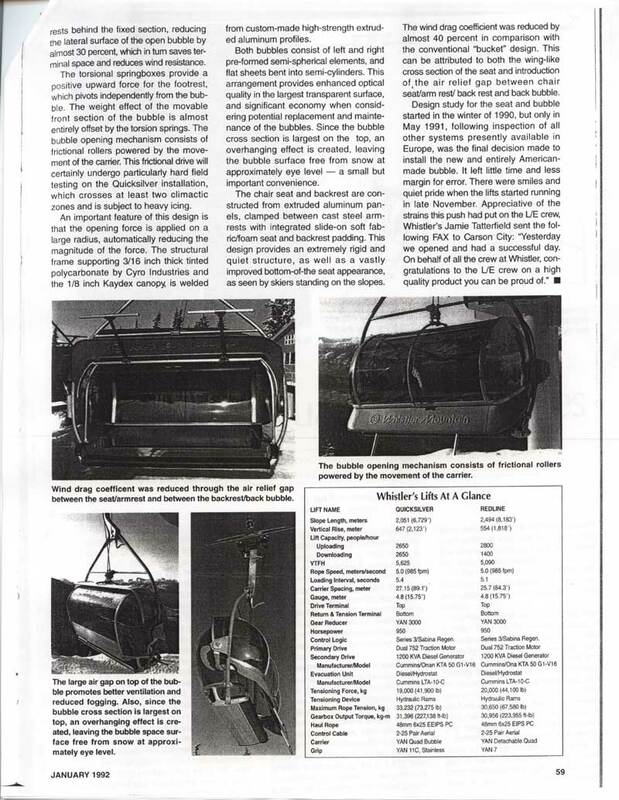 The loss of a workhorse lift at the height of ski season through the following Christmas and resulting $1 million retrofit by Doppelmayr forced Schweitzer into bankruptcy. Schweitzer’s Great Escape Quad retains Yan towers, operator houses, control systems, electric motor and gearbox while using Doppelmayr chairs, detachable grips and line equipment. Yan type-7 grips used at Schweitzer/Sierra and type-11 grips on Quicksilver utilized rubber “marshmallow” springs manufactured by Firestone rather than the helical, metal springs that are industry standard. Rubber proved susceptible to changing temperatures in mountain environments. Both grips relied on gravity such that grip force would be reduced when the line would bounce. Les Okreglak, a former Yan engineer, formed a company called Pol-X-West to develop a replacement grip using four coil springs compatible with Yan terminal equipment. 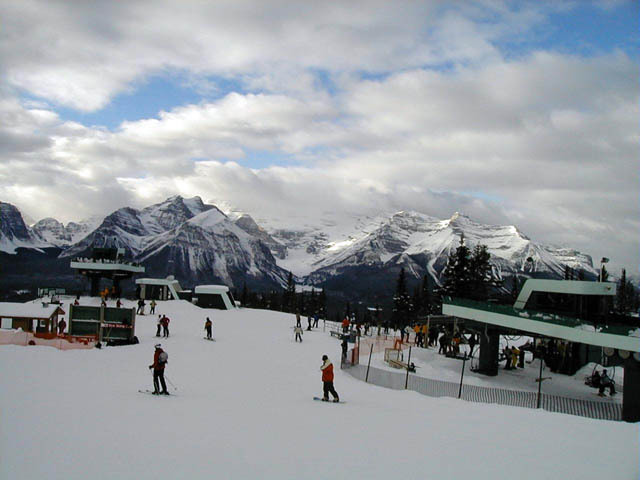 Pol-X-West replaced grips on four lifts at Lake Louise and Silver Star in time for the 1996-1997 ski season. The 1996 retrofits were such a massive undertaking that June Mountain operated its quads for a season without covers on the tire banks. 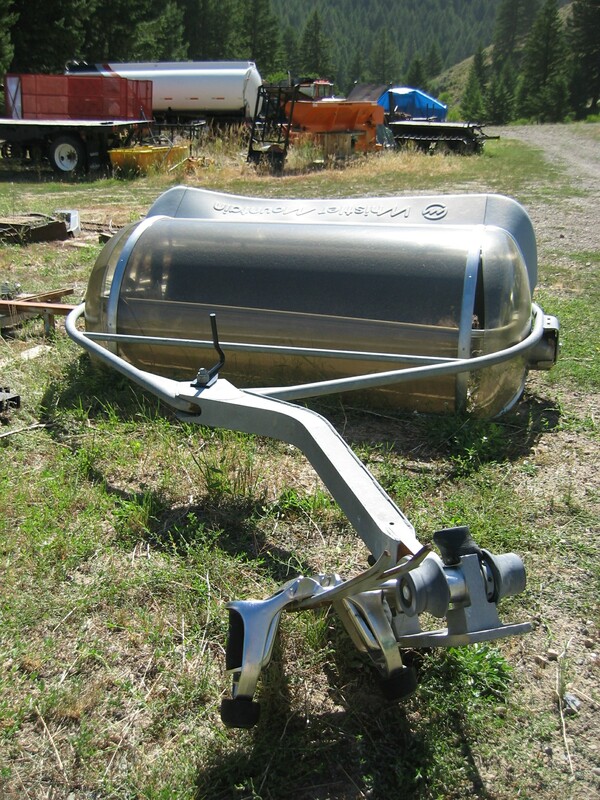 Most customers opted to completely replace Yan detachable equipment, in part due to the US Forest Service requiring replacement of Yan detachables operating in National Forests. Quicksilver never re-opened and Whistler Mountain spent $6.2 million to replace the lift with a Poma gondola the following summer. 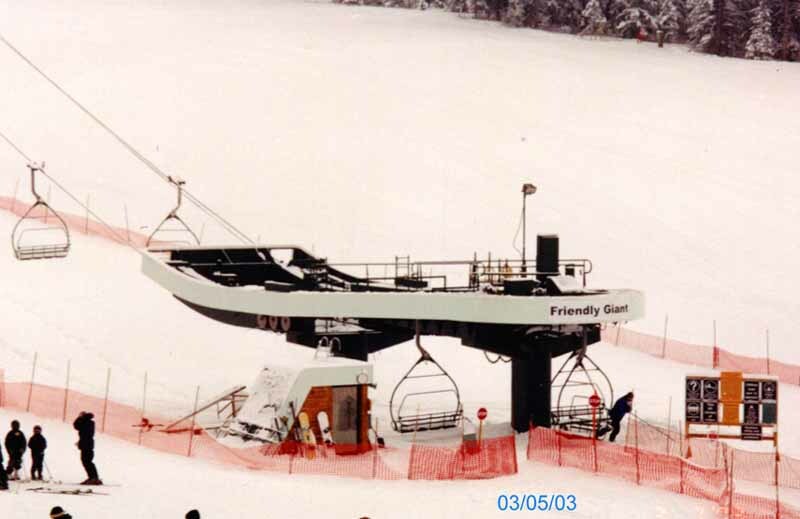 Eight other high speed quads were replaced with brand new lifts in 1996. Poma retrofitted six additional Yan detachables, all of which happened to be at American Skiing Company resorts in the northeastern US. They got TB-41 grips, new sheaves and upgraded terminals. In an ironic twist, it was a job with Poma that brought Mr. Kunczynski to the United States 30 years prior. 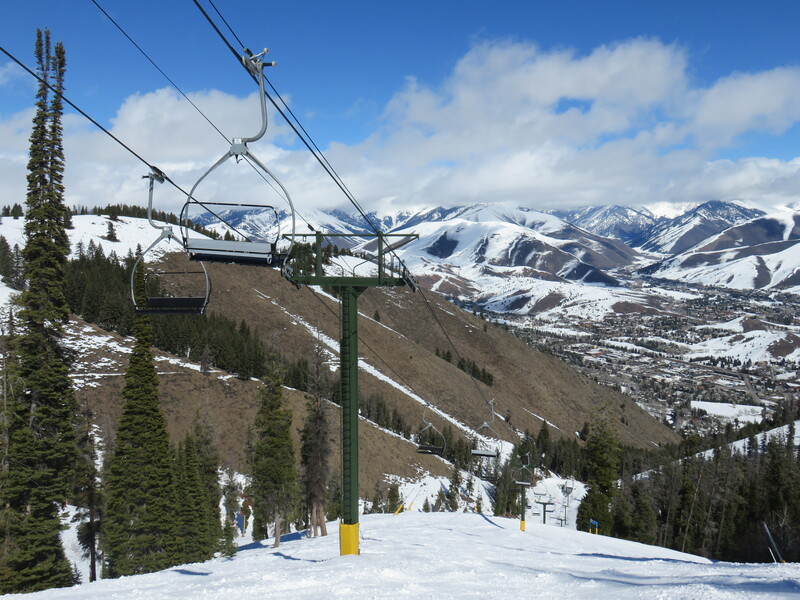 Everything that could be salvaged was kept at Sun Valley while the grip-related components were replaced with Doppelmayr equipment. 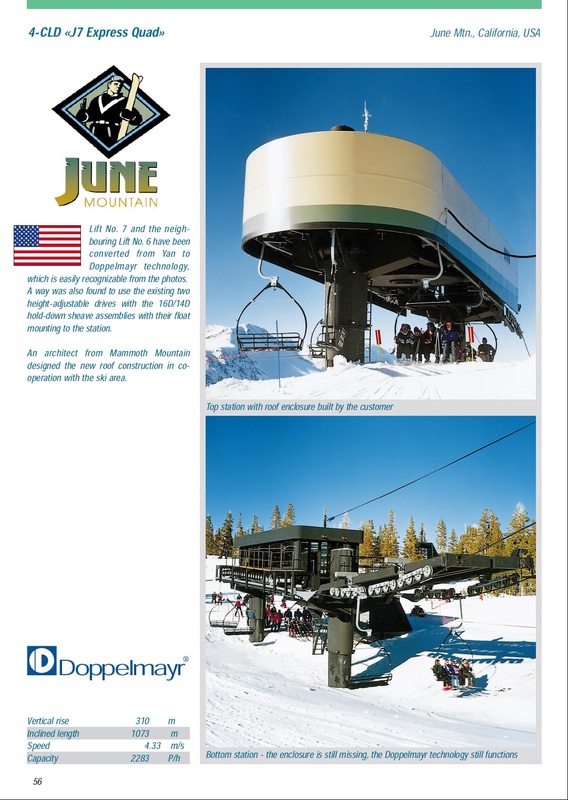 The Sun Valley Company announced a retrofit program together with Doppelmayr in May 1996. Doppelmayr replaced 652 grips and hangers, line gear on 134 towers and tire banks/contours in 14 terminals on Bald Mountain at a total cost of $9 million. 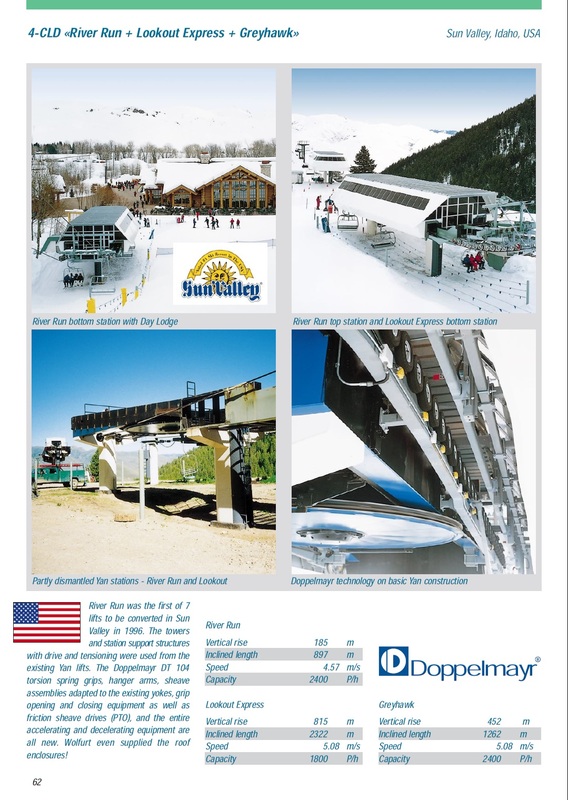 General manager Wally Huffman called the episode as an “almost devastating financial blow to the company.” Doppelmayr faced a huge backlog that summer refitting 12 lifts with DT-104 grips and new terminals in addition to building ten other lifts. Due to limited manufacturing capability in St. Jerome, 75 percent of the equipment came from Austria and many of the retrofits weren’t completed until January 1997. 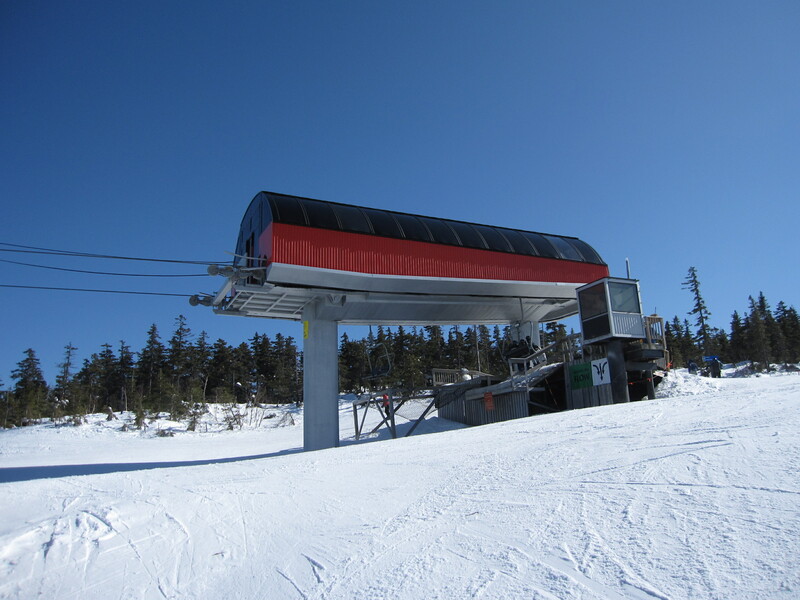 At Sunday River and four other New England resorts, Poma re-built terminals and provided new sheaves/grips for six Yan detachables. Lift Engineering built its last lifts in 1994 and filed for bankruptcy in July of 1997. The four Yan high speed quads in Canada that remained in operation have since been replaced (Silver Star’s in 2002, Lake Louise’s in 2003-2004.) At least two Lift Engineering detachable quad lifts still operate abroad. One is called La Roca at a ski resort in Spain that still has the original marshmallow springs that failed at Whistler, although they are the smaller type-7 size. The other is at the Nazhvan Forest Park in Iran, a re-installation from Silver Star with the safer Pol-X-West grips. It would be cool to see more yan bubble chair pics!!! It’s funny, I came across the Quicksilver chair in a field mountain biking near Sun Valley a few years ago. I’d be interested to hear why it ended up there. SV also has all 7 of their Yan motor room enclosures and hundreds of teardrop chairs in their boneyard. At Killington the Superstar Express lift has Poma chairs and grips, but Snowshed Express appears to still have the original Yan chairs and grips. The Summit and Golden Express lifts at Pico appear to have the original Yan chairs and grips as well. The Snowshed, Golden and Summit Express lifts have the original Yan chairs retrofitted with Poma grips. Great article. It was nice to have the table showing what happened to all 31 lifts. Awesome article Peter. Wish there were more photos of pre-retrofit YAN HSQs around. An interesting/sad period in ropeway tech for sure. I was at Killington over the weekend. Chip is right the Snowshed Express quad has Poma grips and the original Yan chairs. I wonder why they couldn’t have used the Pol-X-West grips on all the lifts, or something similar that worked in the SA.d terminals. It would’ve saved the resorts millions of dollars if they only had to replace grips and not replace all of the line gear and terminal machinery. Did those grips have problems too? All the lifts they got them are gone now. My understanding is at Whistler there were more problems than just the grips. 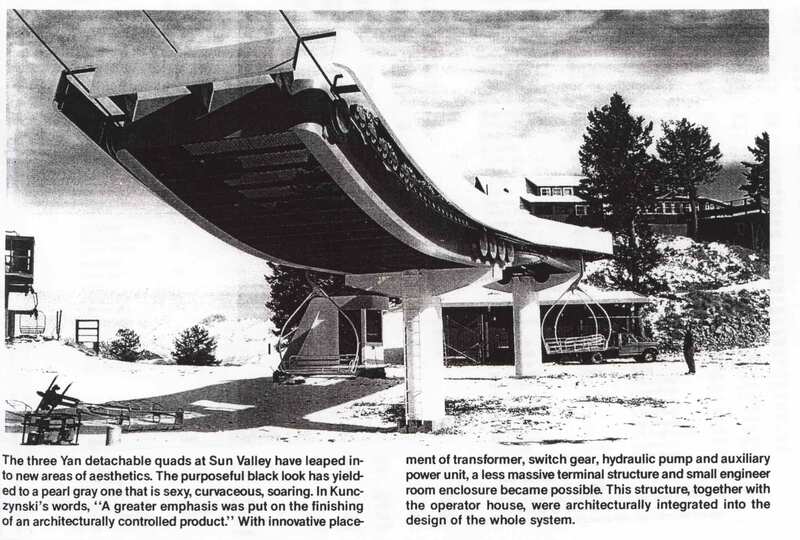 When Sun Valley decided to replace all seven of their HSQ’s, they were concerned not only about Yan’s ability to deliver new grips on time but also public perception after Teller and Quicksilver. I’d be curious to see/read more about the gondola at Keystone and the QMC tram at June in addition to these. 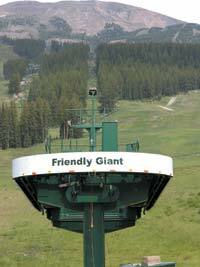 On another note, I always hated riding the Great Escape Express at Schweitzer. And it nearly threw some family and friends off of it in 2007 on an emergency stop. Friends and dear colleagues in the form of interest to the system YAN can from this page see below. Here’s a video I just stumbled upon on youtube of a Yan detachable located in Spain WITH ORIGINAL GRIPS, SHEAVES, AND TERMINALS, as well as the towers. The Chairs have been replaced. Thanks for this interesting blog article, Yan lifts with all their unconventional engineering wee always very fascinating for me. One thing I am confused about is why Yan didn’t build any lifts in 1995. If the big accident was in 1996, wouldn’t they’ve kept making lifts until then? 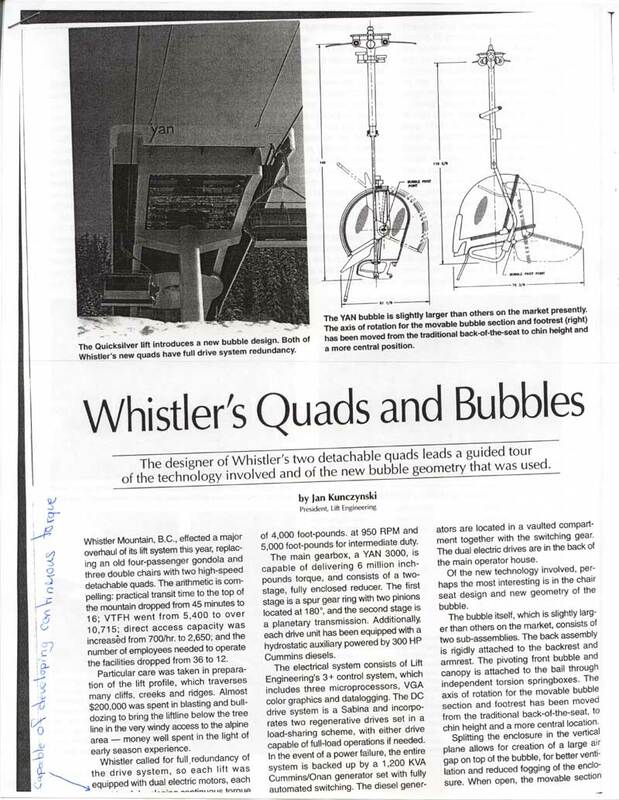 The Whistler YAN accident was Dec 23, 1995. I will let others in the industry make statements about why no YAN high speed quads were build in the summer of 1995. Fun reading, I worked on Sierra’s replacement on the electrical, the Yan’s were 600 volt and the Doppylmeyers were 480. I noticed in a thread on Skilifts.org, you posted some pictures of Yan detachables. Currently, they can’t be viewed, would you mind letting me see them? https://www.youtube.com/watch?v=4xTzEC6vQCs This video has a bunch of old Yan lift footage in it. It’s from Mammoth and June and includes some footage of the QMC Tram, J6, and Broadway Express. Just watched the whole thing! Thanks for sharing Collin! According to our french brethren the last Skyrail/Yan detachable quad, La Roca, will be replaced with a six pack this summer. Considering that the chairs fell off in classic Yan detach failure fashion, this isn’t a surprise. What is a surprise is that it lasted this long. Considering Lift Engineering was an American company, it’s kind of surprising they have an installation in Europe.